Axis Of Oversteer: Mission Daytona, Chapter one. If you've attended a NASA Mid Atlantic race week end over the past few years you will be very familiar with this yellow Ferrari, it's the one generally lapping the whole field. What you may not necessarily know is that its owner, Skip Bennett, then jumps into a Spec E30 for some real racing along with the likes of Chris Cobetto and Mike Skeen (not to mention the Axis Spec e30 squadron, Pete, Justin and the Freep). For 2010, Skip decided to step it up, to find a new challenge for his Challenge so to speak. The plan? Spec e30 has some of the best amateurs drivers out there, why not get a bunch of them and run the Daytona 24 Hour next winter? Certainly has a hook to it, Spec E30 allstars take on the Daytona monster. Bennet recruited Chris Cobetto, Mike Skeen, Jon Allen and Mike Davidson to share his car for the 2010 Rolex Grand Am season in preparation for running Daytona in early 2011. Their efforts will be chronicled along the way by Grassroots Motorsports magazine and seen, live this year, on SpeedTV. Mike Skeen, will be on duty first with Bennett in late April for the debut race at the Virginia International Raceway . The other drivers will see action in the Bennett Racing Ferrari F430 throughout the 2010 Rolex Grand Am season and finally all five will make up the Daytona 24 Hours team. Annapolis, Maryland (Feb. 23, 2010)—Following a successful early test for the Bennett Racing Ferrari F430 Challenge, the team has decided to move forward with plans to enter the Bosch Engineering 250 at Virginia International Raceway. Team owner Skip Bennett will pair with Mike Skeen at the April 23-24 event in Alton, Virginia, for the team’s debut in the Grand American Road Racing Rolex GT Series. Bennett Racing plans to compete in several rounds of the 2010 season in preparation for the 2011 Rolex 24 Hours of Daytona. NASA SpecE30 drivers Chris Cobetto, Jon Allen, and Mike Davidson will share the duties at Bennett Racing for the remainder of the 2010 season, and all five members will compete at Daytona next January as this grassroots effort reaches the big stage. Bennett started his racing career in 2006, quickly diving into the deep end by entering a Grand-Am Cup race soon after completing his Skip Barber training. That year also saw the beginning of his NASA SpecE30 career, in which he has had numerous wins over the years. 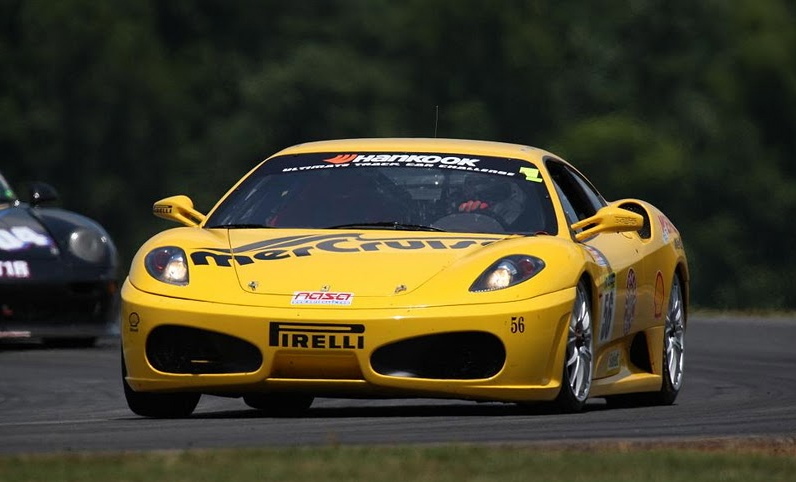 In 2007, Bennett completed a full season of Ferrari Challenge, finishing fourth in the series. Look for Bennett Racing among the pages of Grassroots Motorsports as they document their experience. Also, follow along at Bennett-Racing.com and MikeSkeen.com for multimedia updates throughout the season. Grand-Am will hold its annual event at VIR with support series to include the Continental Tire Sports Car Challenge, Volkswagen Jetta TDi Cup, Ford Racing Mustang Challenge, and the Skip Barber National Series. Television coverage of the Rolex Series race will air Live on SPEED, April 24th, at 12:00 PM ET.